Be ready for both work and play! Being a career woman shouldn't mean being stuck in the office all day. There's absolutely no need to decline those after-work party invitations; you just have to strike the perfect balance between work and play. If you don't have time to change your makeup after work, the best way to make things a lot easier is to master the art of transitioning your look from day to night. Wearing thick foundation in the morning can lead to a cakey finish at the end of the day, so start your day by applying a lightweight product on your face. Layer on a medium-coverage foundation once you're ready to clock out and have some fun. 2. Always keep a multi-purpose makeup palette inside your kit. You can't bring your entire vanity to your office, but that shouldn't stop you from looking stunning before you head to your after-work party. The key is to always have a handy, multi-purpose palette that has everything you need to transform your look from day to night. Try Shiseido's Makeup Palette of Light from its Symphony of Lights Holiday collection, which has universally flattering eye and lip colors for any occasion. Keep your face au naturel in the office with Pink Frost, an MLBB lip color, and a hint of Cosmic Gold on your lids. After work, you can go for a smoky-eye look with Burnished Bronze, or opt for a bold, vampy lip with Radiant Burgundy. Problem solved! 3. Choose a long-lasting eyeliner that works just as hard as you do. Every beauty girl needs a reliable eyeliner—it's a surefire way to make you look fresh and party-ready in a snap. Start with a subtle wing in the morning, just enough to define your peepers and make them pop. To transform your look for the evening's festivities, simply extend that feline flick for a bolder look. 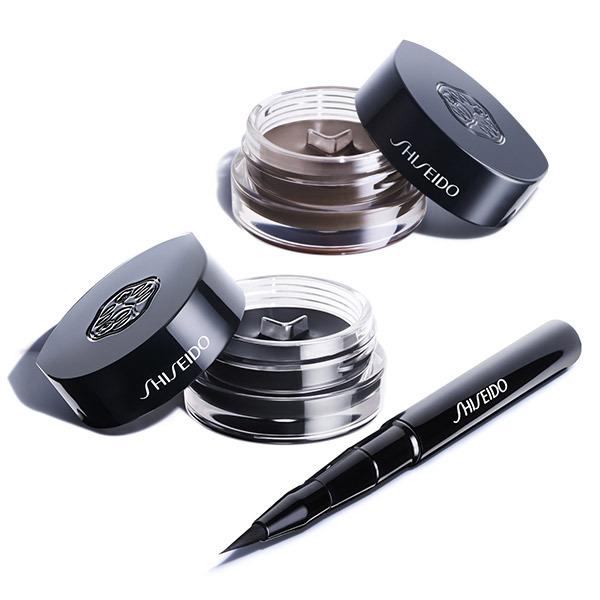 The Shiseido Makeup Inkstroke Eyeliner from the Symphony of Lights Holiday collection is long-lasting, water-resistant, and smudge-proof, so you won't ever show up to your event with tired-looking eyes. Learn more about Shiseido's Symphony of Lights Holiday collection by visiting its stores located at Abreeza, Alabang, Ayala Cebu, Centrio, Conrad, Eastwood, Glorietta, Greenbelt 5, Lucky Chinatown, Powerplant, RP Magnolia, RP Manila, Shangri-La, SM Megamall, SM MOA Pop Up, Trinoma, and selected SM and Robinsons Department stores and Landmark branches. Follow the Shiseido Facebook page for more details.